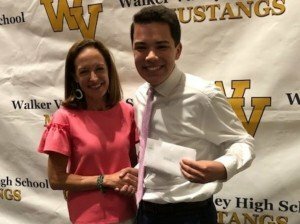 Walker Valley’s, Brandon Akiona and Bradley’s Julia Sandryka have each been awarded the Ocoee Foundation Scholarship for 2018. The $8000 scholarship provides $2000 per academic year for a possible total of four years based on satisfactory progress toward a degree. While at Walker Valley, Brandon founded the Cultural Diversity Council, was a member of the Marching Band, Chamber Choir, the Bradley County Superintendent Advisory Committee, the Chamber of Commerce Youth Leadership Council, the Student Government Association, National Forensics League, the Speech and Debate team and Mustang Mentors. Additionally, he was the male lead in Walker Valley’s Musical production all four years. He volunteered his time as an assistant Sunday School teacher and at the Salvation Army. Brandon plans to attend Lee University where he hopes to double major in Music and Education. After graduation from Bradley, Julia will attend the University of Tennessee at Chattanooga where she hopes to graduate with a degree in nursing. To that end, Julia has already obtained her Certified Nursing Assistant License and works at Garden Plaza as a resident assistant. She was a member of Health Occupations Students of America (HOSA) club where she served as president. 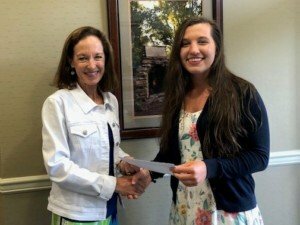 Some of her volunteer activities include acting as a camp counselor, youth leader and Bible School teacher at her church and assisting in HOSA chapter service projects.